Police Spokesman Ajith Rohana said investigations were underway into an incident where a truck parked outside a house at Hakuruwela in Weeraketiya had been set on fire by a group of people and killing a mentally retarded person who was sleeping inside the vehicle. Police Spokesman SSP Rohana said Weeraketiya OIC had received information about 1.30 a.m. on Tuesday that a vehicle parked outside a house at Hakuruwela in Weeraketiya was on fire and had found a 37-year-old mentally retarded person, who was sleeping inside the vehicle burnt to death. SSP Rohana said they could not comment on whether it was politically motivated incident until the investigations were completed. Police SOCO (Scene Of Crime Officers) had taken samples of the crime scene to find out how the fire had broken out. 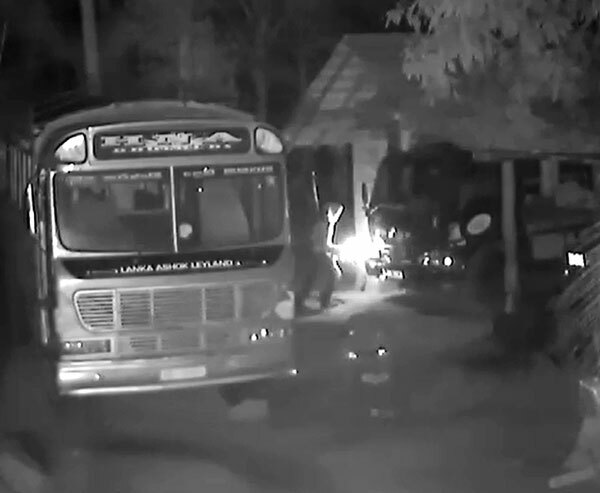 He said the Police had received CCTV footage of the scene and it showed that a group of people had set the truck on fire.